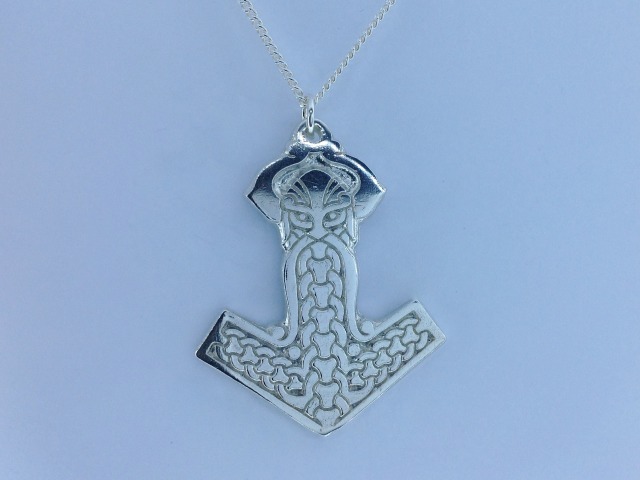 The Vikings are an important element of the heritage of the Isle of Man. This hammer design features a viking head and the Manx chainlink design. 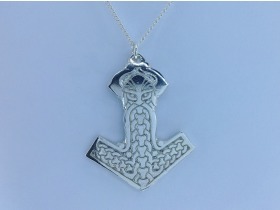 The pendant measures 4.4cm height and 3.5cm in width.